Malcolm-Jamal Warner is an American television actor, film director, and musician. He is best known for his role as Theo Huxtable on the long-running NBC sitcom The Cosby Show. Additionally, he appeared as Malcolm McGee on the UPN sitcom Malcolm & Eddie. He is currently starring as Dr. Alex Reed on the new BET sitcom Reed Between the Lines. 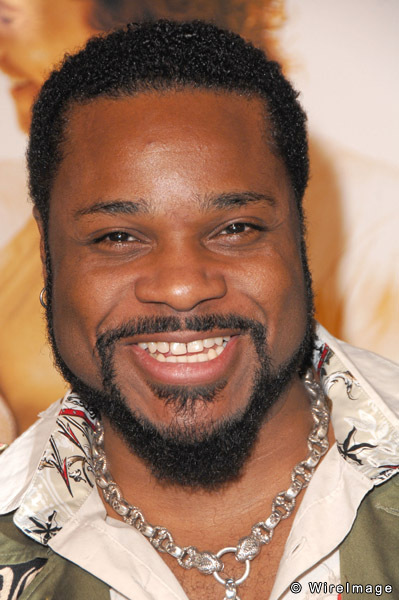 Malcolm-Jamal Warner was born in Jersey City, New Jersey and was raised by his divorced mother, Pamela Warner, who served as his manager. He was named after Malcolm X and Jazz pianist Ahmad Jamal. At the age of 9, Malcolm demonstrated an interest in show business which led to enrollment in acting schools. With appearances and roles on many television shows and films, he landed his most successful role as Theo Huxtable, the only son of Heathcliff Huxtable, who was played by Bill Cosby on the NBC sitcom, The Cosby Show from 1984 to 1992. Warner auditioned for the role on the very last day of the nationwide search and was chosen by Cosby himself. He also starred in Jeremiah, was the voice of The Producer character on The Magic School Bus and co-starred with comedian Eddie Griffin for four years on the UPN sitcom Malcolm & Eddie. Warner was on the CBS sitcom Listen Up! with Jason Alexander and the host of the literacy-promoting children's show CBS Storybreak. He guest-starred on an episode of The Fresh Prince of Bel Air playing the role of Hilary's boyfriend, and has directed several music videos including British R&B group Five Star's "I Love You For Sentimental Reasons" as well as many sitcom episodes including The Cosby Show, Kenan & Kel, and Malcolm & Eddie. In addition, Warner directed the acclaimed, teen-oriented public health video "Time Out: The Truth About HIV, AIDS, and You" , which featured Arsenio Hall and Earvin "Magic" Johnson discussing the realities of HIV and AIDS and the best ways to prevent its spread. In 2003, Warner released his debut EP, "The Miles Long Mixtape." In 2007, Warner followed up with his second CD entitled, "Love & Other Social Issues." In 2009 he guest starred in an episode in the new TNT series HawthoRNe. In 2011 he guest starred in an episode of the NBC series Community as the ex-husband of Shirley Bennett . His character subtly referenced his Cosby Show past by wearing a "Cosby sweater" that he stated was from his dad. He is also a performance poet, and has performed at the National Black Theatre Festival since 2003, in addition to hosting its Poetry Jam. Warner had a relationship with the late actress Michelle Thomas (who portrayed his girlfriend Justine on "The Cosby Show"), and was at her bedside when she died in 1998. He dated actress Karen Malina White for seven and a half years, but never married. Warner is dating actress Regina King. They have known each other since the 1980s. Whole or part of the information contained in this card come from the Wikipedia article "Malcolm-Jamal Warner", licensed under CC-BY-SA full list of contributors here.